Shop online for affordable grass fed meat in Phoenix and all of Arizona! Finding affordable and high quality grass fed meat can be tricky in Phoenix. Sure, some farmer’s markets have a local Arizona rancher selling grass fed beef but the supply can vary and if you don’t get to the market bright and early, you may not be able to get the cuts you want. Even the organic grocers’ don’t have all steak cuts all the time. We’ve heard from many customers that they just got so frustrated with spending their time and money on gas to search for grass fed meat. Shopping online with home delivery makes life so much easier! Topline Foods makes it easy to have a well stocked freezer full of the high quality meats you want. We offer organic grass fed beef, antibiotic free and organic chicken, wild caught seafood and more. 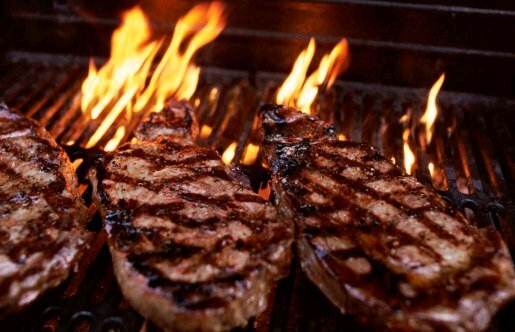 We work hard to provide a wide assortment of steaks and cuts to satisfy many different tastes. And when your freezer is full of quality meats, getting meals on the table is a lot easier. Most of our grass fed meat quickly thaws in a clean sink of cold water within 15-20 minutes because they are packaged individually. When you cook at home in Phoenix you are eating healthier and can cut out the processed foods more easily. Plus, you control the ingredients like sugars, salts, and additives. This entry was written by Jeff, posted on January 2, 2014 at 8:37 pm, filed under Announcements - Cities, Blog and tagged affordable, Arizona, AZ, beef, grass fed, meat, organic, Phoenix. Bookmark the permalink. Follow any comments here with the RSS feed for this post. Both comments and trackbacks are currently closed.